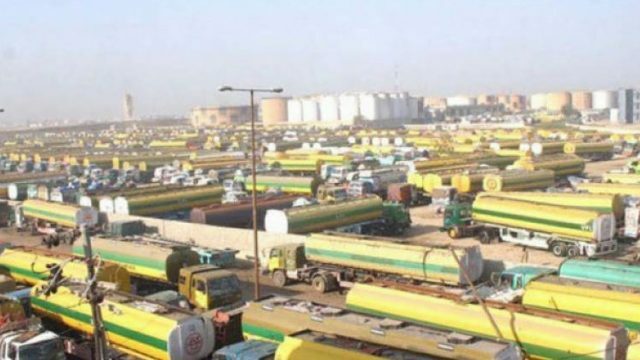 The association of Oil Tankers announced that all Pakistan Oil Tankers Owners Association will begin the strike on Monday across the country and no vehicle will distribute oil to stations. Chairman All Pakistan Oil Tankers Owner Association, Mr Shams Shahwani, claimed that Motorway Police and traffic police officials have created hurdles in their distribution process in name of by implementing the Oil and Gas Regulatory Authority (OGRA) safety regulations. He also mentioned that owners are being forced to spend Rs1 million on every tanker in the light the new OGRA safety regulations. He further mentioned that the strike will go for an indefinite period until the strict policies of the government are not reviewed. He said that around 85,000 tankers are used to supply oil throughout the country. The members of the tanker union asked the government to solve their demands immediately. At least 12 oil tanker accidents occurred in the last two month. The Bahawalpur oil tanker inferno cost the lives of over 200 people. Many of the injured are still under treatment in different hospitals. The motorway police had decided to implement on OGRA safety rules after the dreadful incident. Their strict screening has caused worries for the oil tanker owners. According to Pakistan Petroleum Dealers Association Abdul Sami Khan, oil in sufficient quantity is present in reserves of fuel stations. He also mentioned that measures have been taken to avoid any inconvenience to the public. Another official of the association, Malik Khuda Baksh, has advised the public to not get more fuel filled in their vehicles, than what is required. According to an official in the Ministry of Petroleum, there is no shortage of oil in the country as the current stock of petrol stands at 210,000 metric tonnes. Moreover, he added that there are four ships available with 1,106,000 metric tonnes of petrol and over 400,000 metric tonnes of diesel. However, the supply of oil from Keamari and Port Qasim has been nearly suspended.